When I received an e-mail in my inbox asking if I would like to try out Veestro, I jumped online to find out more + then couldn’t say yes fast enough. 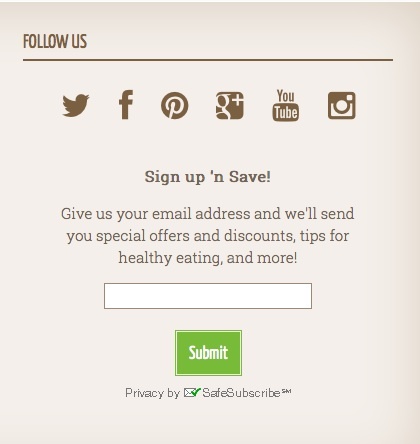 The company describes itself as a convenient way to eat delicious, healthy, plant-based food – and it’s all delivered right to your door! 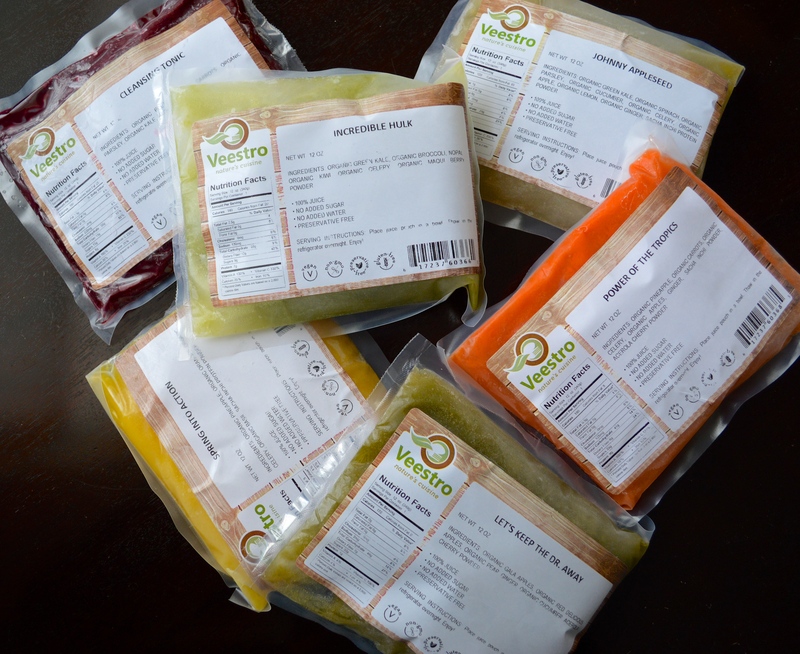 All of the foods + juices on Veestro are Non-GMO, 100% plant-based, preservative-free, dairy-free, have no cholesterol + are a good source of fiber. I liked that their goal was to help people eat healthy no matter how busy or on-the-go they are, they make it crazy convenient to stock up on incredibly healthy foods. I love that the co-founders of the company, Monica + Mark, came up with this after not being able to find frozen options that fit into our new commitment to whole foods and plant-based nutrition. After struggling the last couple months juggling my schedule and finding the time/energy for eating well, I admitted I needed all the help I could get! The site has something for everyone. You can choose juice cleanses, meal packs tailored to certain diets (think gluten-free, high protein, etc), starter packs, 21-day kickstart packs + a-la-carte options if you want to pick and choose. You can pick what you want and it is delivered right to your front door, you can even set up subscriptions to keep the orders coming if you want to make things really easy on yourself! I love that they also have articles to educate you on different topics and why a plant-based diet is a natural way to treat a lot of health concerns! As I mentioned before I have been struggling lately and needed something to kick start me back in to gear. I decided to try out their juices but don’t have the willpower to do the 3-day ones. After doing several of my DIY blueprint juice cleanses, I know myself well enough to know two days is more than enough for me. 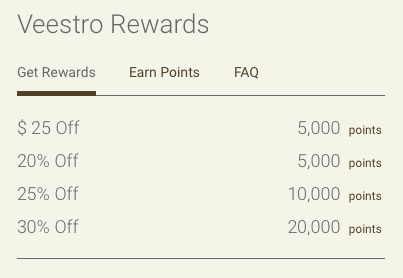 The cool part about Veestro is the a-la-carte options I mentioned earlier because it allowed me to purchase what I needed for my own 2 day cleanse. You could also pick and choose what juices you wanted to do in case you don’t like certain flavors. 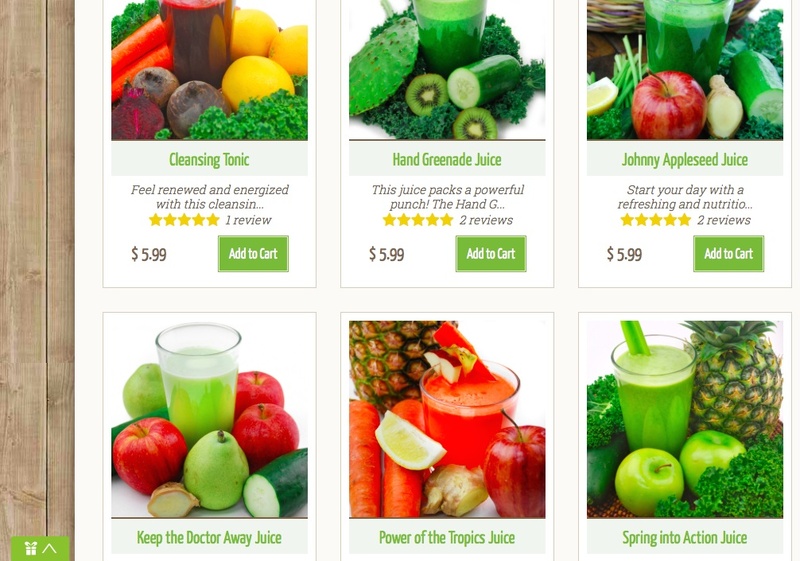 I ordered two each of the Cleansing Tonic, Incredible Hulk (recently re-name the “Hand Greenade”), Johnny Appleseed, Keep the Doctor Away, Power of the Tropics and Spring Into Action juices. This was enough for 6 juices per day. – The only exception is in California where shipping is $12 between $35 and $199 and Free over that. You don’t get to choose when your package will be delivered, all orders placed by Friday will be shipped out the following Monday. I ordered mine on a Saturday evening and it was shipped on Monday though so you may get it sooner than you think! 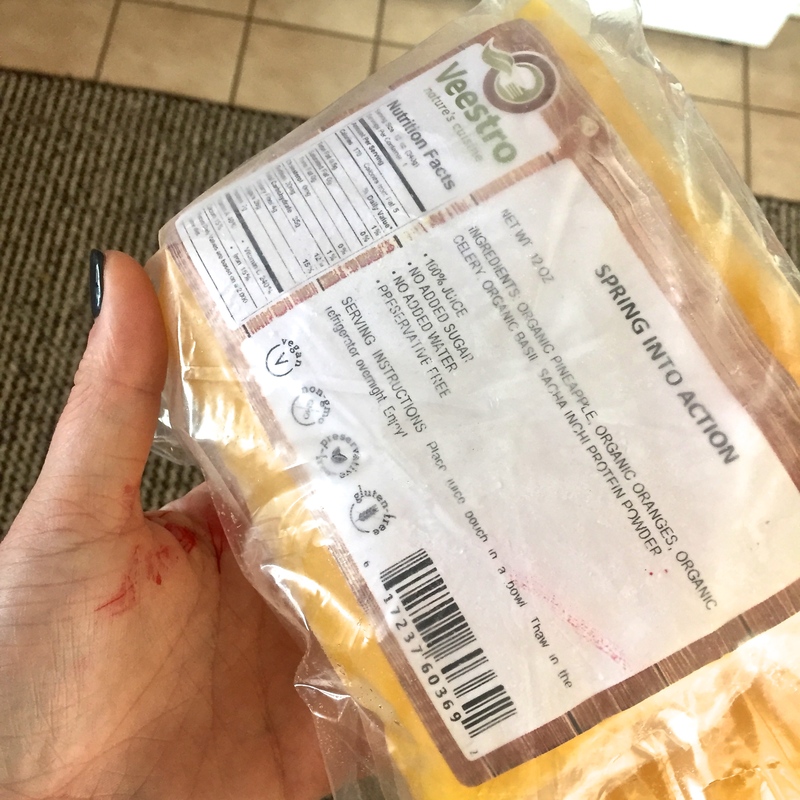 For a juice cleanse, it would have been cool to choose when your order was delivered as I was dreading receiving my order on Thursday night and having to start a juice cleanse on a Friday, but it turned out for the best (more on that in a minute!). I had scoured the internet trying to find out what the juices came in but had no luck but to my surprise – a pleasant one! 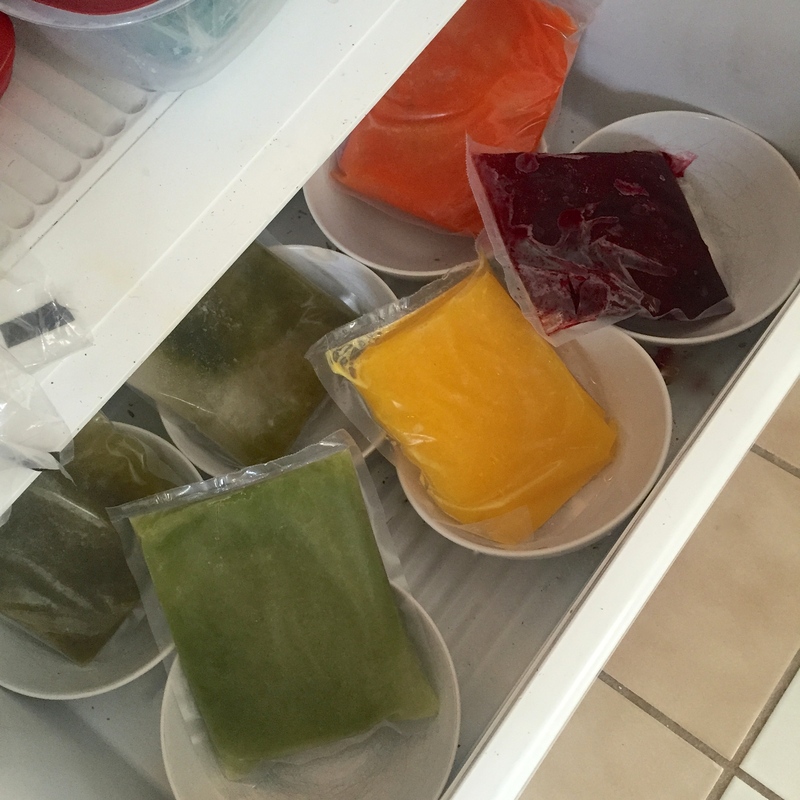 – the juices arrived frozen! I was happy as this meant that I wouldn’t have to start my cleanse on a Friday but I was hesitant at first about having the frozen juices as I assumed there would be less nutrients as they would have been frozen and still have to be defrosted. After doing some research online though, it seems the nutrient value loss is minimal if it’s frozen right away and defrosted in the manner they describe so I was super excited. 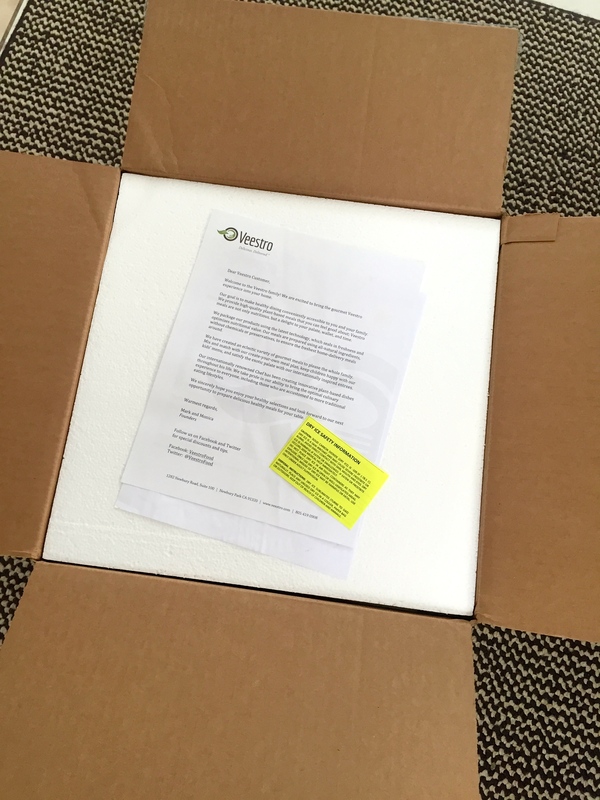 It comes with a letter from the founders of the company telling you a little bit about their history as well as some information about the dry ice that everything is packaged in. 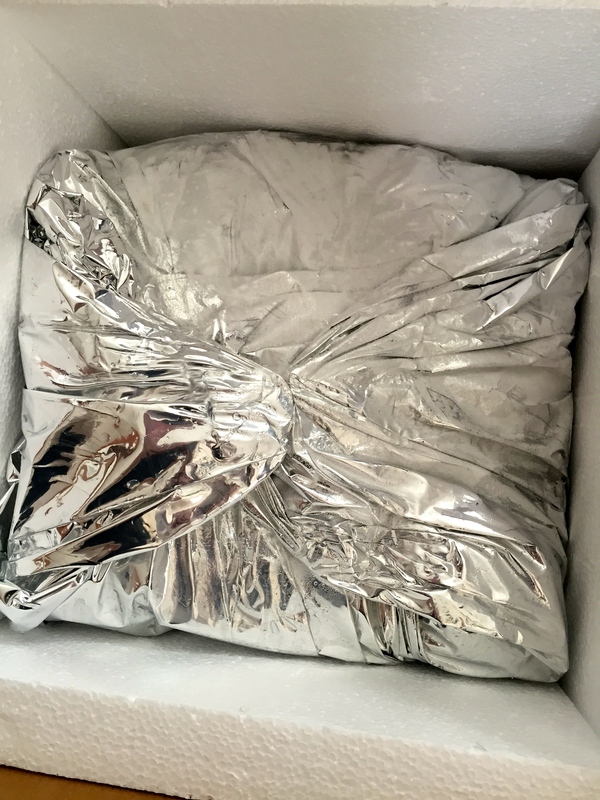 The whole package is taped in a silver bag with the dry ice and the juices are individually packed into plastic pouches. Again, I liked that the juices were frozen because it gave you the opportunity to pick and choose exactly what juices you wanted and when, but it also proved to bring along some problems. A few of the bags had tears in them so I ended up getting beet juice that stained my hands and made a big mess when I defrosted them. You’re supposed to put your pouch in a bowl in the fridge overnight to defrost it, which wouldn’t be bad if it were 1-2 juices but finding room for 6 bowls in my fridge proved challenging, I ended up putting them in the bottom drawer. They say the juices will defrost overnight – I put mine in at 11am on Sunday morning and some of them were still frozen Monday morning which made transferring them to bottles to drink them out of wasn’t easy. I found it much easier to defrost them for a couple of days in the fridge instead. 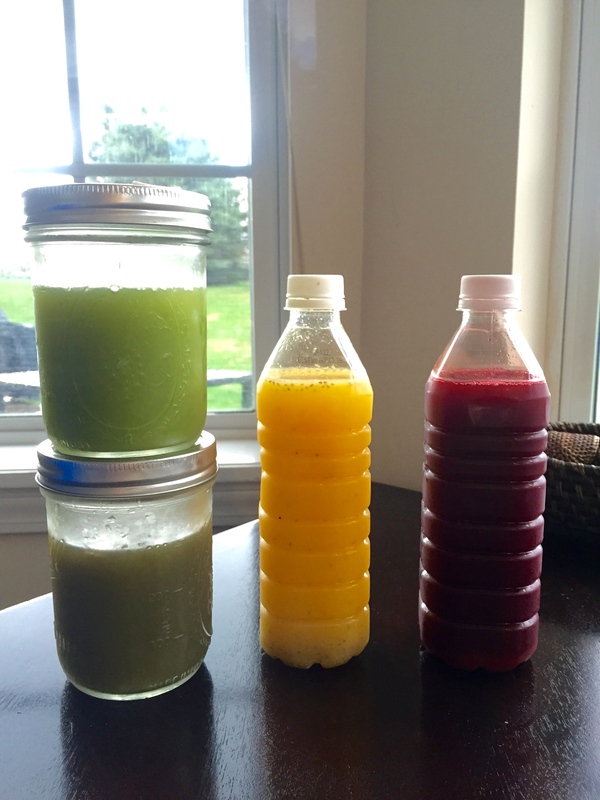 Some of the juice defrost faster than others: the spring into action and power of the tropics being the fastest, the green juices being in the middle and the cleansing tonic taking the most time. I put the Cleansing Tonic + the Power of the Tropics Juice into plastic water bottles. I was trying to kick a nasty cold so I added some fresh orange juice + chia seeds to the Power of the Tropics juice for an extra kick. 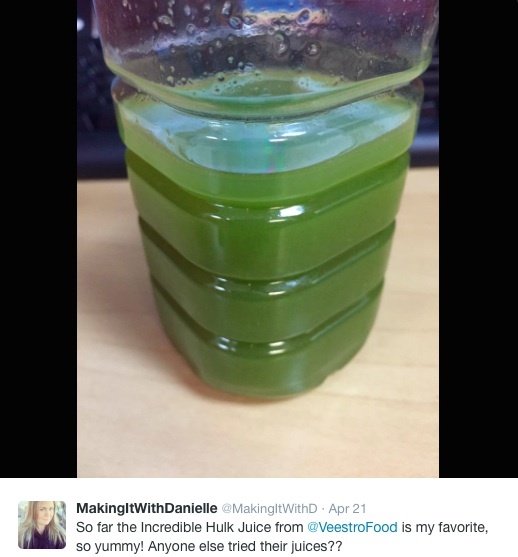 I also put the Incredible Hulk juice and the Keep the Doctor Away Juice into jars and brought all four to work. I can’t stand beet juice but I know it’s SO good for you so I’m willing to put aside the taste on the cleansing tonic, but I’ll be honest I’ve never had a beet juice that I’ve liked so I could do without this one! I made some changes to it for day 2 which made it better, which I’ll explain in day 2. I had the Keep the Doctor Away juice next and it was better but still not my favorite. I will say these two juices were probably the two healthiest for you with the most health benefits but they were my two least favorite flavor-wise. I had the Power of the Tropics juice as my “lunch” and this is my second favorite. As I mentioned before I added chia seeds + orange juice to it and it was delicious. I had the incredible hulk juice before heading home from work. If you follow me on Twitter you know that I LOVED it, this is my favorite out of all the juices. When I got home from work I had the Johnny Appleseed juice for “dinner” which was good but a little too sweet for me. I finished the day off with the Spring Into Action juice which was very good too. I felt good after the first day, hungry off course, but I was sick going into it and I was already starting to feel better. I ate a banana, some strawberries and an apple in addition to drinking the juices because I had to eat something before I went to hockey. I thought I would feel much more sluggish but I didn’t! This day I woke up feeling much better. I think a combination of all the nutrients and sweating a lot of my cold out at hockey the day before was just what I needed. I had defrosted the juices for two days which was much better, they were all totally defrosted and were much easier transferring into the bottles. I juiced one peeled orange and an apple and added it to the cleansing tonic which made it perfect! I had the johnny appleseed one next followed by the spring into action and the incredible hulk before heading home from work. When I got home I had the keep the doctor away and then the power of the tropics. I was a little hungrier this day so I ate the same fruit as the day before as well as some veggies and hummus. I was really tired after the second and final day and went to bed fairly early. I woke up feeling fantastic after the cleanse and I will definitely order more of these juices again! It’s so much more convenient to have the juices delivered to you frozen and ready for whenever you decide to have then then it would be to make them all on your own. I love the idea of stocking up your freezer with these and having super healthy juices at your fingertips! 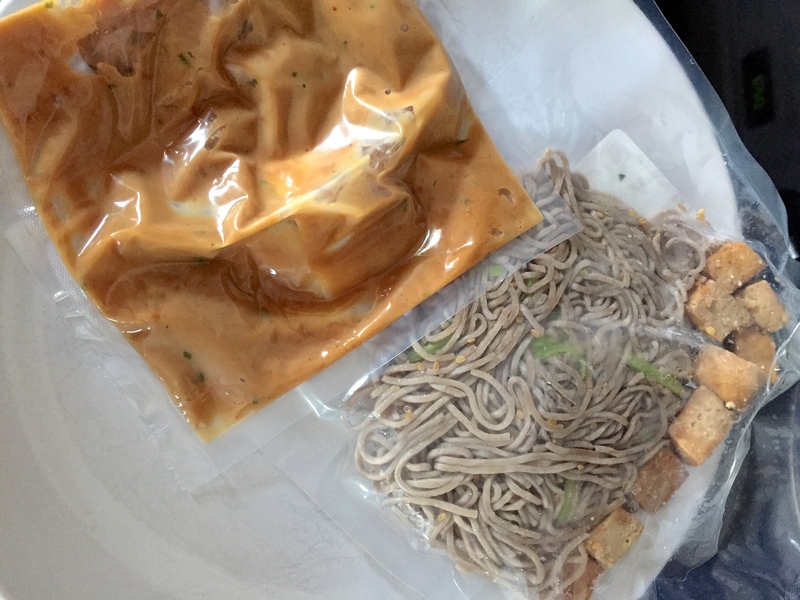 I also ordered the soba noodles with peanut sauce and it was seriously good, it made me excited to order some of the food from Veestro! 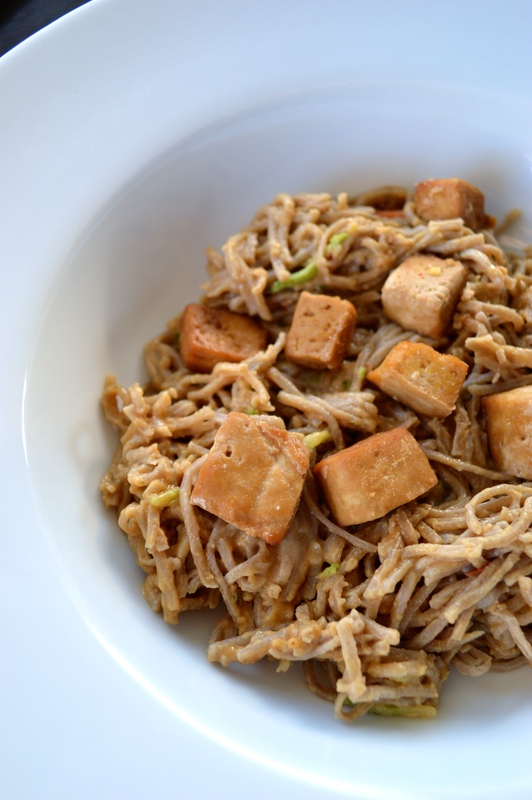 The food comes frozen as well and was crazy easy to defrost right in the microwave to make what you see above! All in all I was really impressed with Veestro. I thought they had great customer service, they were quick with their delivery, the juices were nutritious and convenient, the food I got to try was very tasty and I love the idea that you can eat healthy no matter how little time you have! They have a rewards program too! When you sign up for an account and place orders, you’ll rack up points which will earn you money and percentages off your orders! 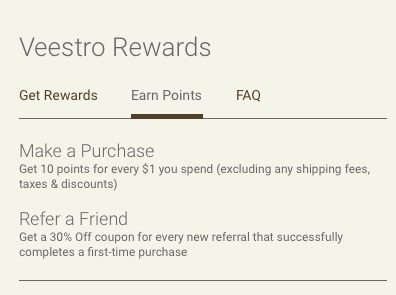 Last, but not least, if you spread the word and invite your friends to order you can get rewards through their referral program! 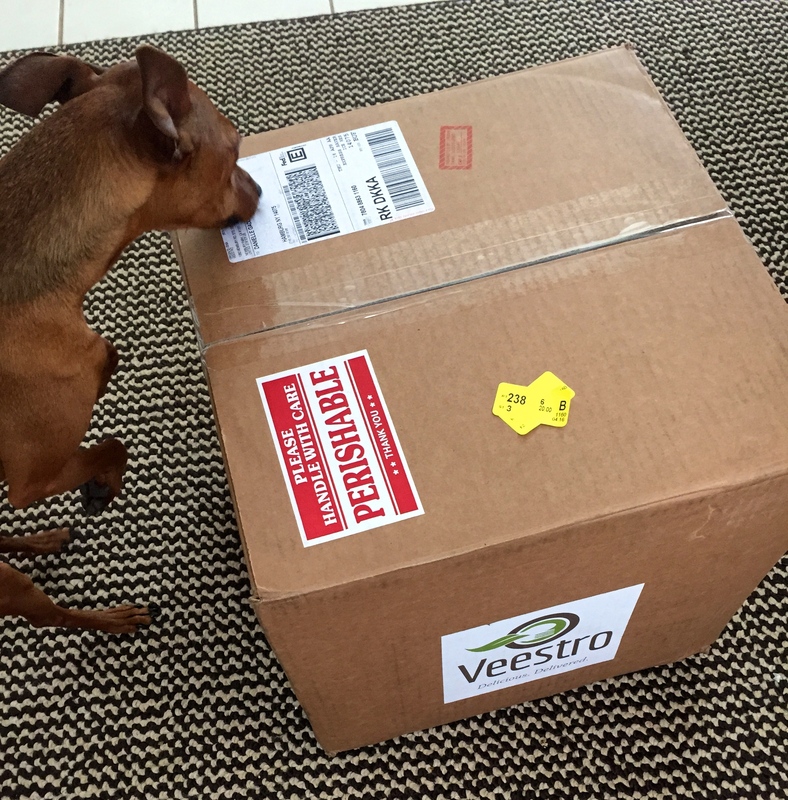 You can visited Veestro here and check out all the incredible things they have to offer! Let me know when you guys try them out what your favorite items are so I can try them too! My cleanse pack arrived today! What made you decide to do 6 a day? Caloric totals? Yay!! Usually most of the cleanses are 6 juices and the one they have set up was six juices so I just went with that!